The speedometer edged past triple digit numbers, the nearly straight, two-lane road laid out over the rolling terrain of Mallorca off the eastern coast of the Spanish mainland. Traffic is sparse, and overtaking the occasional lonely car requires no downshifting on the six-speed gearbox. 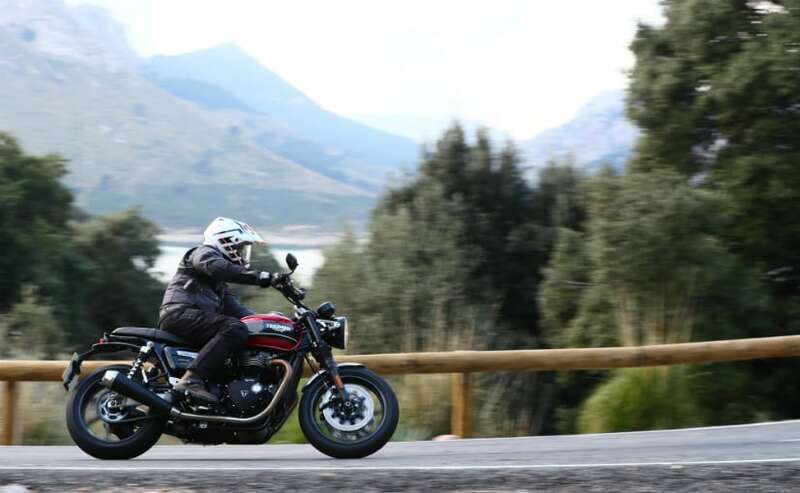 Just a gentle roll on the throttle, and the 1200 cc, parallel-twin of the Triumph Speed Twin pulls ahead with reassuring confidence. And speeds far beyond the speed limit can be achieved without any apparent effort from the twin-cylinder motor. But top speed isn’t what the 2019 Speed Twin is all about. 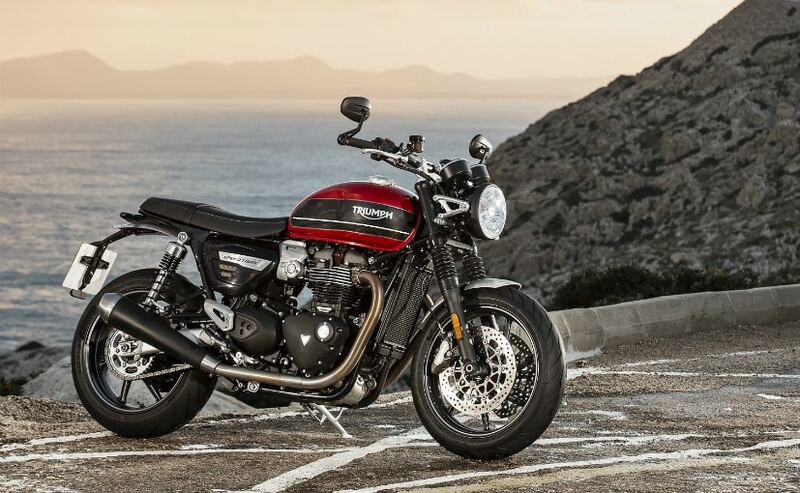 Triumph says the new Speed Twin is the result of market demand – after conversations with existing customers of the Bonneville range. 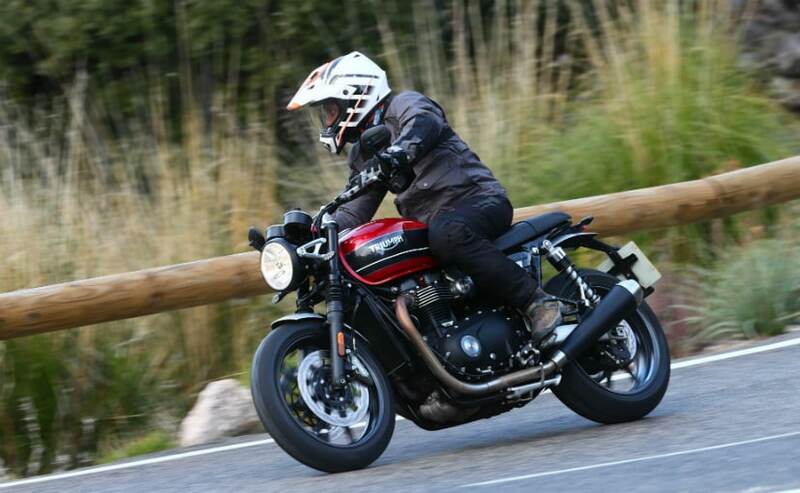 And those conversations apparently revealed that there’s a need for an easy-going, accessible Bonneville just like the entry-level Street Twin, but with some more oomph and pizazz. So, three years later, the Speed Twin was born. 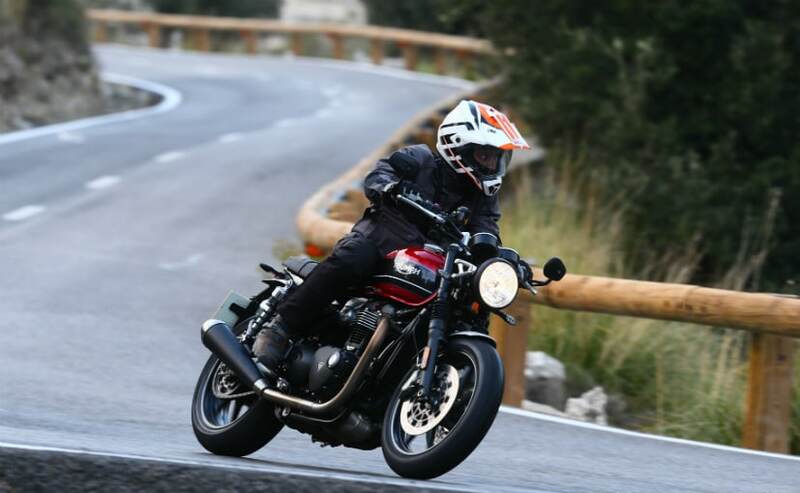 It has a bigger heart than the Street Twin, borrowing the 1200 cc Bonneville ‘high power’ motor of the Thruxton R, but it’s lighter and with a more upright and easy-to-live-with ergonomics than the aggressive cafe racer styling of the Thruxton R.
The design has that typical Bonneville DNA, but the Speed Twin has a more striking, sportier, and muscular silhouette, just what a contemporary and modern Bonneville should be. The overall design still has the retro flavour, and the dual analogue clocks with twin digital screens gel with the timeless Bonneville styling. But there are also signature contemporary custom touches in the details – brushed aluminium bits in the short mudguards, throttle body covers, side panels and heel guards. There are other neat touches too, like the minimalistic LED taillight and indicators, Monza fuel filler cap, and the bar-end mirrors. The name though isn’t all new, and Triumph has gone back in time to its storied past – 1938 to be precise, to call it the Speed Twin. The 1938 Triumph Speed Twin was the then Triumph Chief Designer and Managing Director Edward Turner’s baby, and it employed a 500 cc overhead valve vertical twin in a lightweight frame, and was called the Speed Twin 5T. It went on to become one of the most commercially successful parallel-twins of its time, and is said to be solely responsible for the survival of Triumph after World War II. 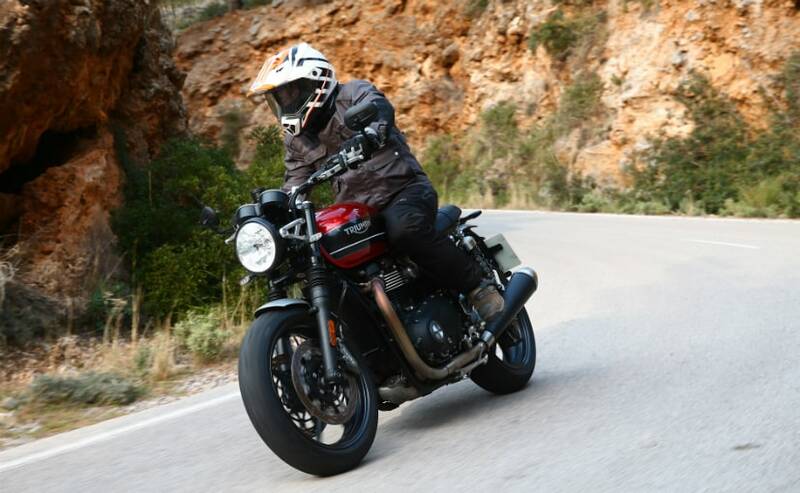 Now, the 2019 Speed Twin is what Triumph expects will create a similar fan following, possibly making it almost as popular as its younger sibling – the Street Twin. What the Speed Twin promises is the performance of the Triumph Thruxton R, with easy ergonomics similar to the Triumph Street Twin. But the 2019 Speed Twin isn’t exactly a Street Twin with a bigger motor. The Speed Twin isn’t what you’d describe as a high-revving performance naked, but the latest member of the Triumph Bonneville family is no slouch. Pulling power is what the new Speed Twin’s engine has dollops of – more than 100 Nm of torque is available from just over 2,000 revs, with 112 Nm peaking at 4,950 rpm. And all that pull is complemented by 96 bhp of power available at 6,750 rpm. The engine has that typical 270-degree firing order rumble, and it’s got a strong low and mid-range. In fact, across the northern shore of Mallorca, up in the white granite mountains, third and fourth gear was enough to pull across the twisties; rarely did I need to go into second to accelerate. This will be a boon riding this in traffic, without the need for frequent gear changes. The double cradle frame is similar to the Thruxton R’s but revised, with a new rear subframe, and is lighter as well. The engine also has lighter magnesium cam covers, a lighter clutch, and lighter internal components. In all, the engine itself is lighter than the Thruxton R’s by more than 2.5 kg. Lighter cast alloy wheels, brushed aluminium body parts add to further weight loss, with the Speed Twin becoming at least 7 kg lighter than the Thruxton R.
The upright and comfortable ergonomics make it easier to ride over longer distances than the Thruxton R, and although the suspension doesn’t have fully adjustable Ohlins units, the 41 mm KYB cartridge forks at the front, and the twin pre-load adjustable KYB shocks at the rear complement the light chassis to make for an engaging motorcycle to ride around a twisty mountain road. Braking is handled by dual 305 mm discs up front gripped by Brembo four-piston four-pad axial calipers up front and a Nissin two-piston caliper gripping a single 220 mm disc on the rear wheel. The Pirelli Diablo Rosso III tyres offer very good grip, even when leaned over, and standard ABS ensures there’s sure shot stopping power. The ride-by-wire system offers three riding modes – Rain, Road and Sport. Rain mode has subdued throttle response, but riding in pouring rain for over 2 hours during our test ride, it’s appreciable how well the electronics work, never for once letting any sense of skidding on the wet roads, even at very high speeds. The only letdown was Sport mode which felt a little snatchy and jerky on-off throttle feel. But Road mode worked best for me in all conditions, which seemed to offer much better acceleration than Rain mode, but smooth and predictable throttle response. 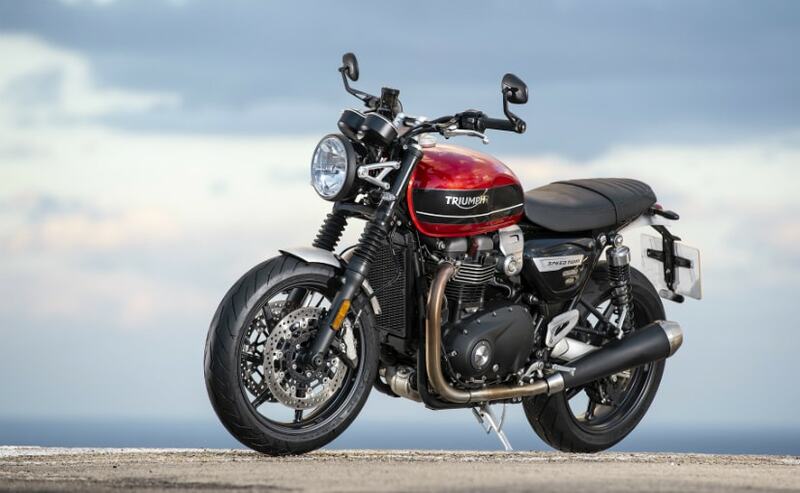 The 2019 Triumph Speed Twin certainly makes a very worthy addition in the Bonneville family. 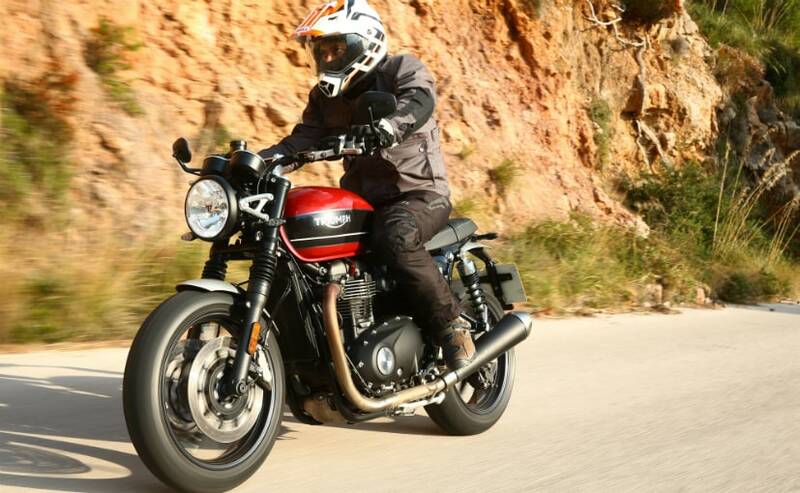 It sits right between the Bonneville T 120 and the Thruxton R, as a contemporary modern classic with the performance and handling to make it very appealing. For India, the Triumph Speed Twin will be manufactured in Triumph’s Thailand plant and brought in under the Free Trade Agreement, so prices are expected to be attractive. And pricing will be key to how the Speed Twin is accepted in India as well. 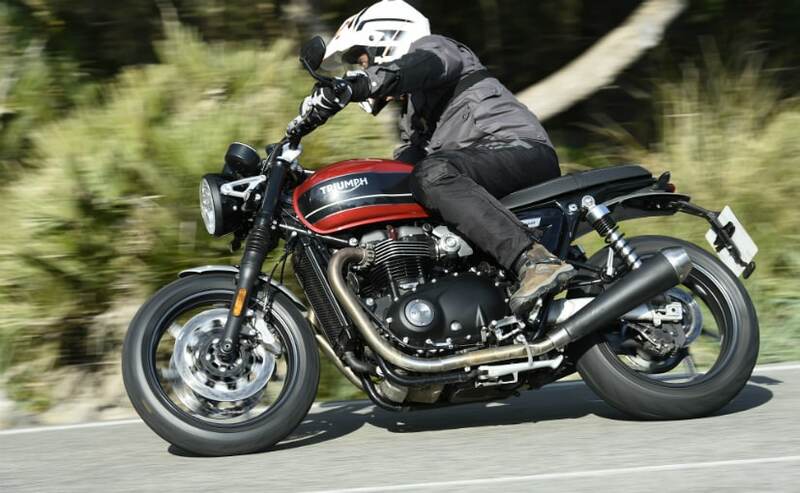 If Triumph manages to price the Speed Twin under ₹ 11 lakh, maybe even between ₹ 10-10.5 lakh, the latest Bonneville has got all it takes to make it a performance-oriented, but popular modern classic. Prices for India will be announced when the bike will be launched, sometime in March 2019.